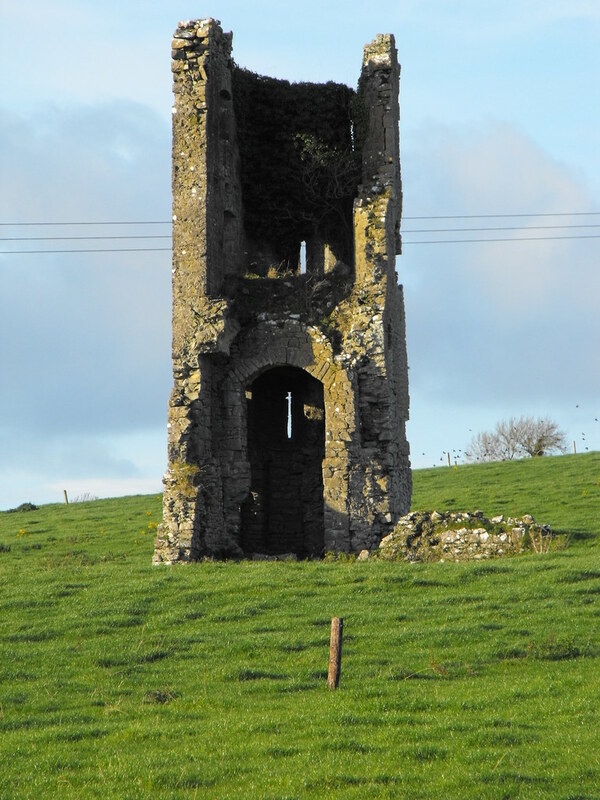 The Standing Stone: Knigh Castle, Co. Tipperary. 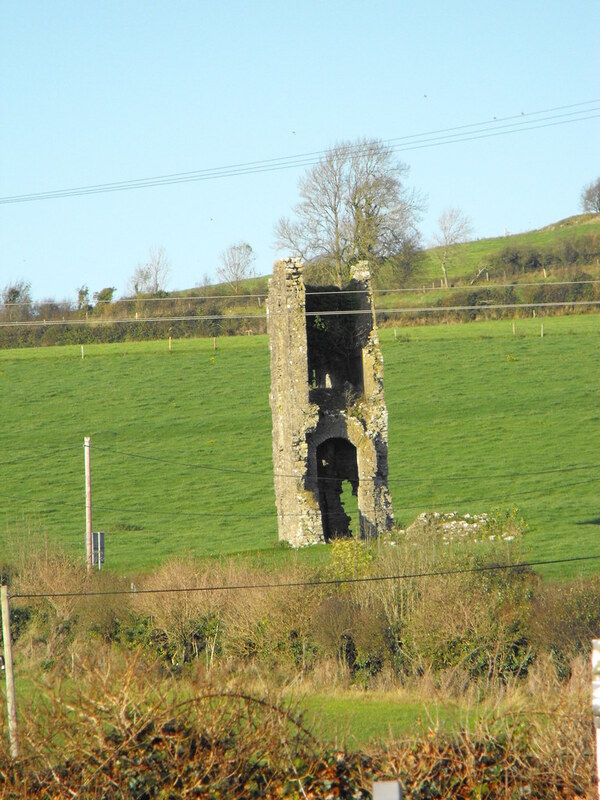 Location – On the R493 about 3km N of Nenagh. It can be clearly seen on a slight rise next to the road. 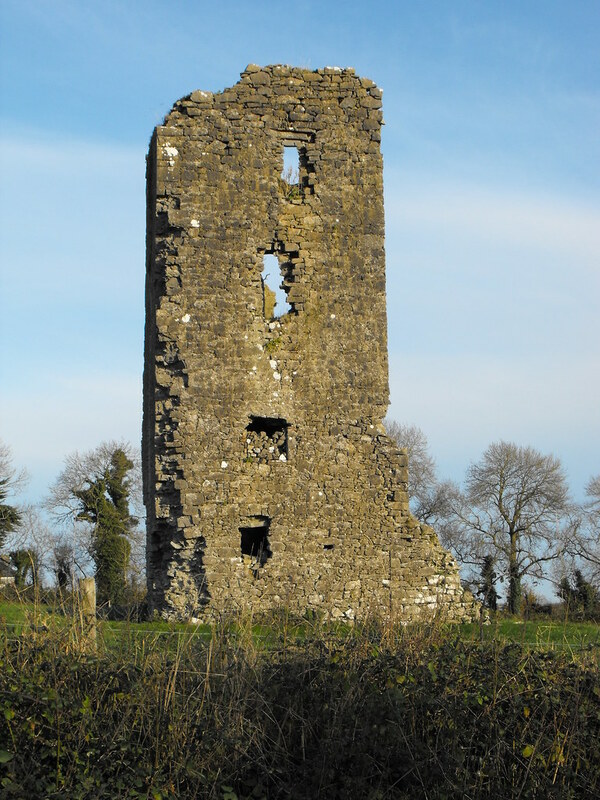 Description and History – There is not much left of this castle but is still sticks out in the landscape. All that remains is the NW corner of a tower house and the foundations of the rest of the castle. From the foundations the castle measures 9m x 12m. The castle was four storeys high with a barrel vault over the first floor that is still intact along with two garderobes. Nothing seems to be known about the history of this castle. I quite like it. It presents an interesting dot on the landscape. Difficulty – Easy to spot. It is located in cattle fields so you might not be able to get right up to the castle but it can be viewed easily enough from the road. As viewed from the nearby church.